Looking for unique holidays gifts but don’t have time to tromp all over in search of the perfect whatsit? Online boutiques bring you locally made, handcrafted goods from shops across the world with all the convenience of the Internet. Your purchases support local businesses, yet you never need to step away from your computer. The best known is Etsy, which offers a huge selection. But there are other wonderful lesser-known options. Check out our favorite niche e-boutiques. 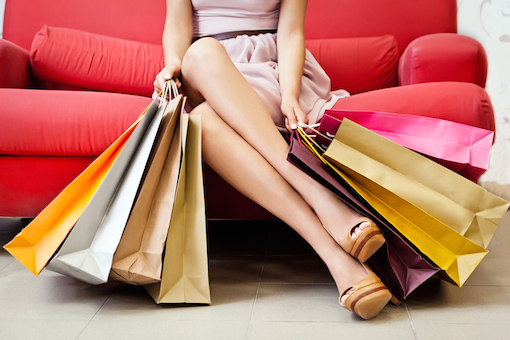 All offer something distinctive to satisfy and amuse even the pickiest people on your holiday shopping list. 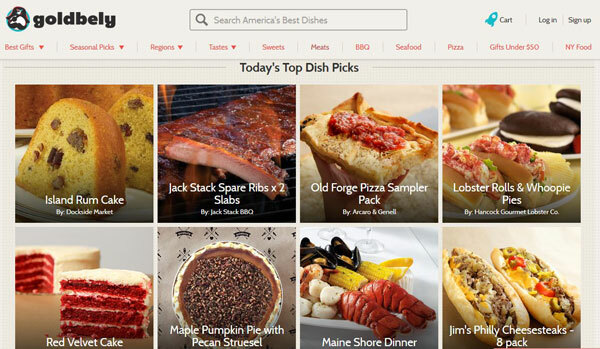 Goldbely.com specializes in “all things delicious” from across the United States. Whether you’re curious about the Texas Trash Pie from Round Top, Texas, a handmade latke (potato pancake) from Los Angeles or a St.-Louis-style thin-crust pizza, you can try them all without setting foot on the road. Filter goodies by taste profiles, such as BBQ, chocolate or gluten-free, or by season or even region. Many of Goldbely’s offerings are free to ship, but the site may charge additional fees for particular items, express delivery or based on the number of merchants you’re ordering from. Currently, Goldbely ships only to U.S. addresses. 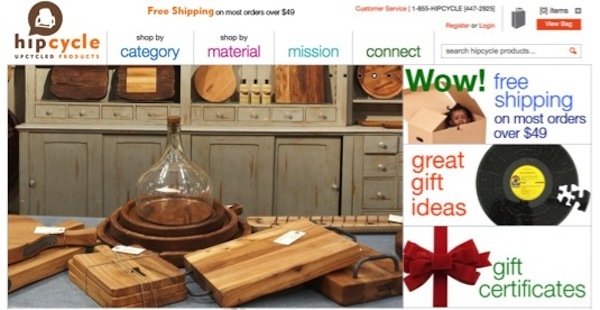 Hipcycle.com specializes in upcycled products from dishware to jewelry to apparel to shelving. You can shop by traditional materials, like glass turned into drink pitchers, or the unusual, like tires turned into handbags or fire hoses turned into iPhone sleeves. Hipcycle’s products come from all over the world, made by small business that make products from reclaimed materials. Since all items are recycled, no piece is identical to another. Most orders ship for $7.95, and most orders over $49 ship for free; the site doesn’t offer international shipping or expedited shipping and only ships to the United States. TenThousandVillages.com sells handcrafted items from artisans in Asia, Africa, Latin America and the Middle East. It’s a project of the World Fair Trade Organization, which works to improve the livelihood of disadvantaged artisans in 38 countries, encouraging artisans to craft responsibly with recycled materials or environmentally friendly processes. Ten Thousand Villages sells items like handmade scarves from Bolivia, gazelle masks from Burkina Faso and shea butter from Ghana. Shop for gifts by interest, such as gifts for foodies, earth lovers or art lovers. Shipping options range from traditional ground shipping to UPS next-day air. 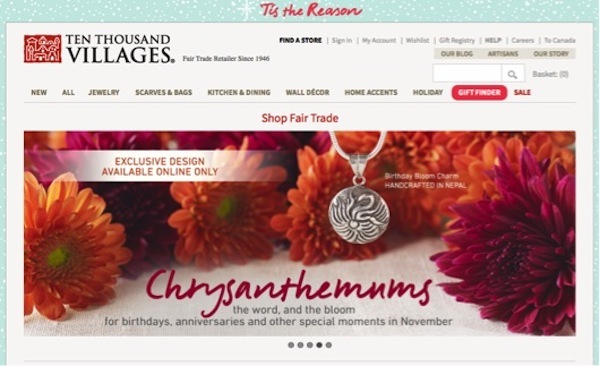 Ten Thousand Villages ship only to U.S. addresses, but shoppers in Canada can shop at TenThousandVillages.ca. Who doesn't have a geek in the family? 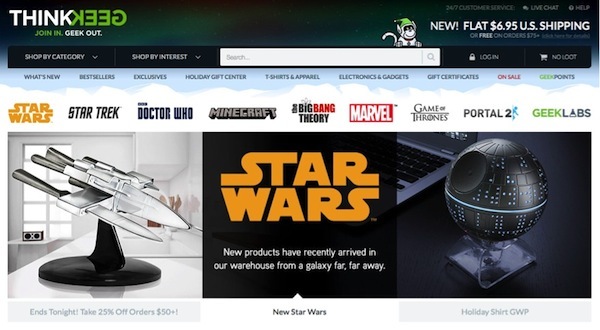 ThinkGeek.com is the perfect e-boutique store for every sci-fi devotee, comic book lover and fantasy fanatic, offering collectibles, home and office items, electronics and even survival gear. Get a Game of Thrones Iron Throne ornament for your George R. R. Martin-lovin’ cousin or an exact replica of the Doctor Who Gallifreyan multipurpose tool (sonic screwdriver) for your Matt Smith-diehard sister. Think Geek’s standard shipping starts at $6.95, and it’s free for orders more than $75. The site also offers expedited and express shipping for $12.95 and $24.95, respectively. ShopPlasticland.com sells the kitschy, retro and unusual goods you never knew you wanted — everything from a unicorn bust to a skull-shaped box painted gold. Add a retro-inspired pencil dress to your shopping cart for your friend who watches a little too much Mad Men, or get the Poe-inspired Nevermore raven bookends for the literature fan in the family. 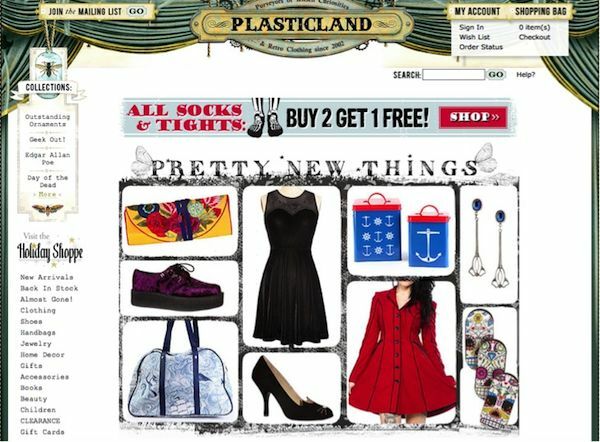 Plasticland offers standard flat-rate shipping for $7.95 and free standard shipping for qualifying orders more than $75. Items may be shipped to to the United States or more than 250 destinations worldwide. Strolby.com showcases a handful of products from small shops in Austin and Marfa, Texas, and Brooklyn, the Hudson Valley and Long Island in New York. The site sells apothecary products, children’s ceramic tea sets, soy wax candles, honeysuckle perfume and more. 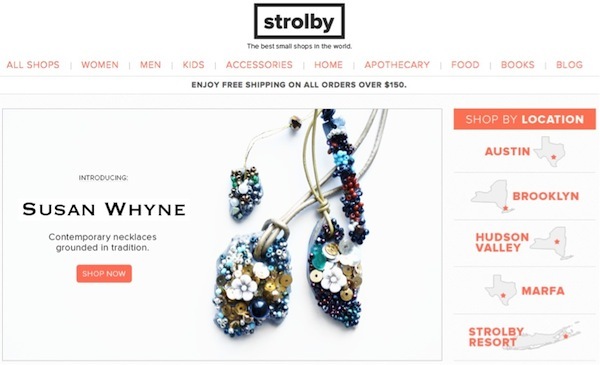 To learn about Strobly’s partner shops, upcoming street market events or featured products, check out its blog, The Stroll, and go window shopping without the footwork. Shipping prices range from $5.95 to $9.95, and orders more than $150 ship for free. Currently, the site only ships to the United States. - Great shopping site… it’s similar to etsy.